The Shipman's Buzzer Tan is based on the Shipman's Buzzer Black created by Dave Shipman. The Shipman's Buzzer Tan is best described as a 'damp' fly. The Shipman's Buzzer Tan is designed to sit in the surface film. Iriginally created in 1979-1080 is has become extremely popular in recent years with stillwater anglers and is available with many different body colours. The Shipman's Buzzer Tan is designed to imitate a hatching midhe. The white antron breathers at either end of the body keep the Shipman's Buzzer Tan floating. To increase the surface area of the Shipman's Buzzer Tan we recommend that the body is roughed up with a piece of velcro before floatant is applied. The Shipman's Buzzer Tan was designed as a stillwater pattern however in small sizes, sayShipman's Buzzer Tan size 18 it will work in running water, especially on glassy pools and glides. A thin rib or lurex is wound around the body of the Shipman's Buzzer Tan to suggest sparking gasses trapped under the skin of the hatching midge pupa. As the name indicates dry flies which include Shipman's Buzzer Tan are designed to float on the surface of the water. Trout dry flies types which include Shipman's Buzzer Tan imitate a wide variery of flies and insects which inhabit the surface of the water. There is nothing like using dry flies and watching trout and grayling rise to the surface. To purists dry fly fishing is the true art-form of fly fishing, indeed some rivers only permit dry fly fishing. There are some dry flies (e.g. 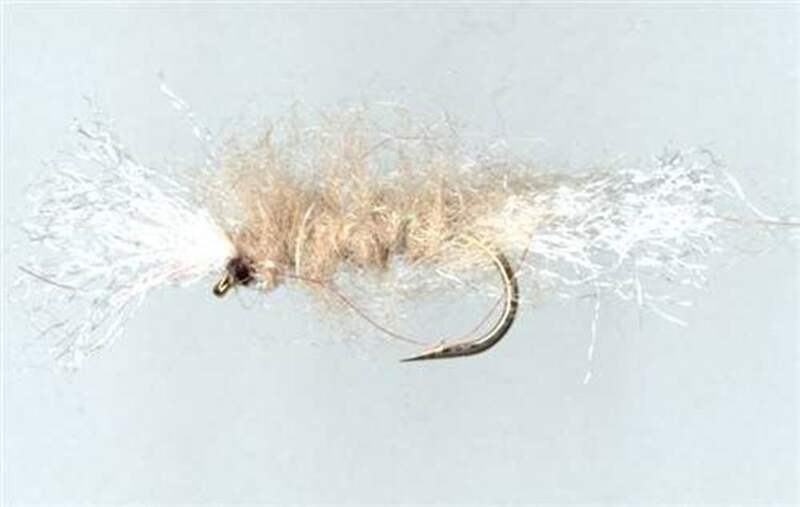 the Popper, Muddlers) which are designed to attract fish by the action of creating a surface disturbance. The flies are made from very bouyant materials (e.g, cork, ethafoam or deer hair, the latter having a generous application of floatant). A Muddler retrieved upwind of a rise can often result in a bulge in the water as the fish follows the fly. Buzzers imitated by flies like Shipman's Buzzer Tan are midge pupa and take their name from the buzzing noise they make when in a swarm. They start life as a bloodworm and live in the soft mud found in most still waters. These blood red worms get their colour from the oxygen and hemaglobin held within their bodies. When they are getting near to hatching they lose their blood red colour and take on a more somber appearance. They then make their way from the lake bottom up through the water columns to the surface. This is achieved by a wriggly swimming action. They swim towards the surface then stop either to catch their breath or waiting for the right conditions to hatch. When they stop wriggling towards the surface they slowly sink back down before swimming upwards again. When they eventually reach the surface they hang from the surface film and hatch out in to adult buzzers or midge. For the more adventurous among you we have provided tying specifications for the Shipman's Buzzer Tan. Remember at The Essential Fly we sell the Shipman's Buzzer Tan at incredible prices with a top quality fly and service to back it up. It is certainly worth tying the Shipman's Buzzer Tan yourself to understand the pleasure of catching a fish with your own tied fly, however at the price we sell flies it is only worth tying one or two Shipman's Buzzer Tan as your can spend more time fishing instead of tying flies - buy volume online with us.